Hi! 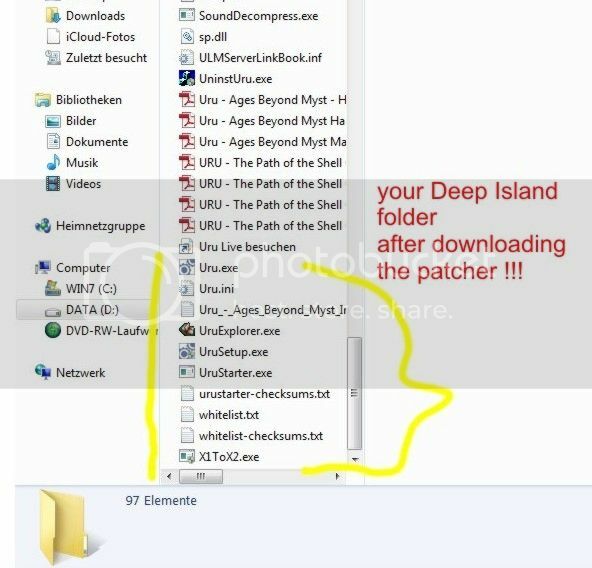 I've followed the instructions to download and install a Deep Island Client on Windows 10 but when I started playing I discovered only the bare bones of the game. 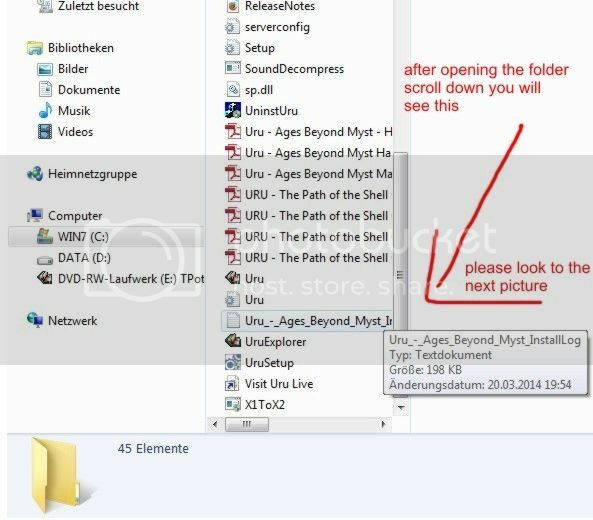 It's been a very long time since I had this Shard on my old computer (on Windows 7) and I've tried the newer link to the ages, since UAM is gone virtually, and it says the webpage is not in use. There's nothing there, essentially. Where do I go to download all the ages, please? in Deep Island the ages are already there (thanks to Diafero) . 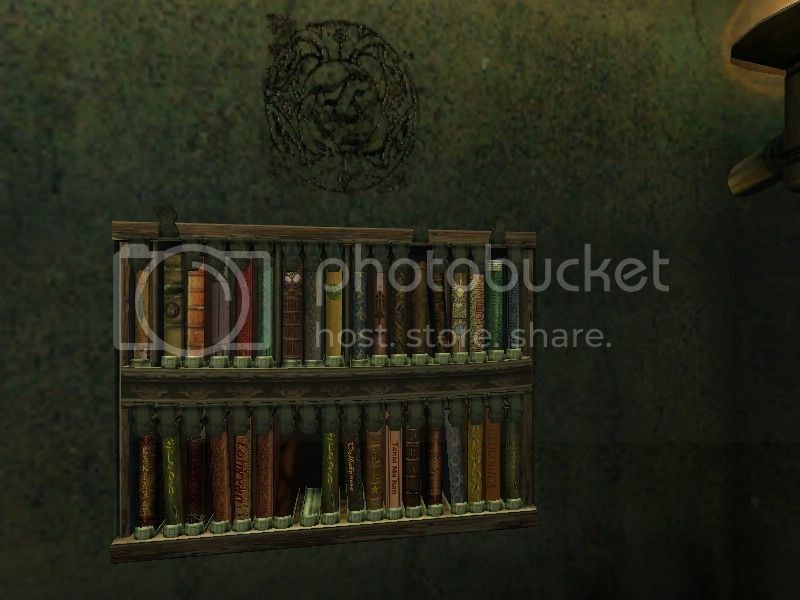 Some fanages have a book in the shelf. The other you find in nexus (restauration links). The command /nexus will work. Hi, Dulcamara! Thanks for the swift reply. I'm not sure how to use the command, /nexus. Do I use it in the game when I'm in the nexus? I have no ages at all. Nothing except the neighbourhood, the city and the watcher's pub. in the nexus I only have the Ferry Terminal. I am not sure that I have downloaded and installed the game correctly. I made a copy from the GOG page download and installed the patch and I was hoping that the patch would give me the ages but clearly it hasn't. I remember from when I installed it on my old computer - 32 bit - on windows 7, I had to download all the ages. Are you saying that the ages should be in the patch? Also, I have a 64 bit computer now, with Windows 10, and although I can get my Godson to help me with the instructions and stuff, he knows nothing about MYST or URU or Deep Island Shard. He only plays shoot-em-ups. He's a computer wizard, but I'm not sure he will understand about the fan ages and stuff. Am I barking up a hopeless tree here? I can maybe get a new monitor to go on my old computer, so that I can still play, hopefully, but it's on it's last legs and keeps crashing. Unfortunately, I can not say how the installation looks under Win 10, but I think it will be similar to Win 7. That you see after you unpack the Patcher. Give this four data in your folder. I would add that you should always launch Uru.exe, not Urusetup.exe, and that you shouldn’t use Drizzle to download fan Ages, just link using a book or the Nexus. Okay, I unpacked the patcher again and put the four files in my DI folder. After replacing the files, I looked at the folder again and there were only the four files there. No sign of the Checksum text file or the two Whitelist files. I'm assuming that it's these three files that provide the fan-made ages. I'm wondering if I'm actually downloading the right patcher. I have printed out the basic instructions from Diafero and also the ones for Windows 10 by Annabelle and looked closely at both of these sets of instructions. 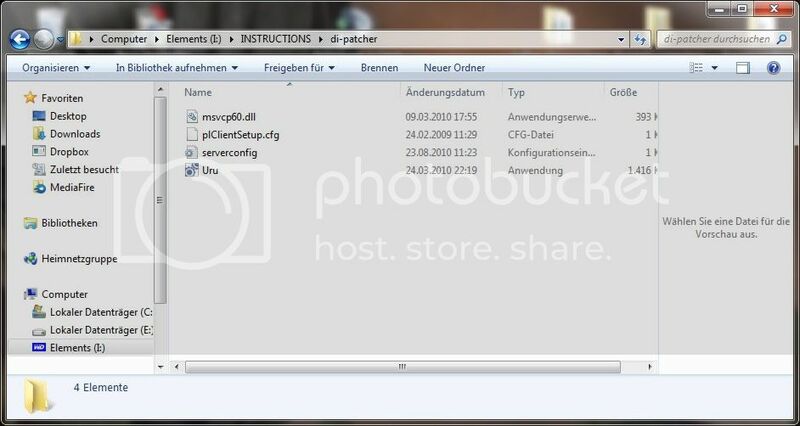 The DI-patcher that I downloaded was accessed from a link in Diafero's instructions. Is there anywhere else to download it from, with maybe a newer patcher? If I remember correctly, the checksum and whitelist files should be generated on the fly on the first launch. 1. Try removing ULMServerLinkBook.inf, and ULMLinkBook.inf if you have that too (those files determine which books are displayed in the bottom row in Relto). 2. In Uru Setup (Uru.exe), in the Connection pane, try checking “Update all ages on launch”. 3. When you wrote you downloaded and installed the patch from the GOG page, you meant the full installer of Uru: Complete Chronicles, right? It’s usually better to use a new install, somewhere else than “C:\Program Files”. 4. The DI patcher you used is the one from this post? That's the only official patcher. 5. You didn’t use Drizzle? 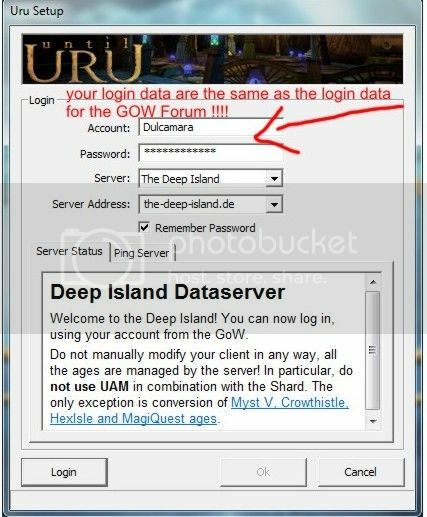 It shouldn’t be used to install fan ages with Deep Island, the shard has its own downloader. 6. You mentioned you have the Ferry Terminal in the Nexus. 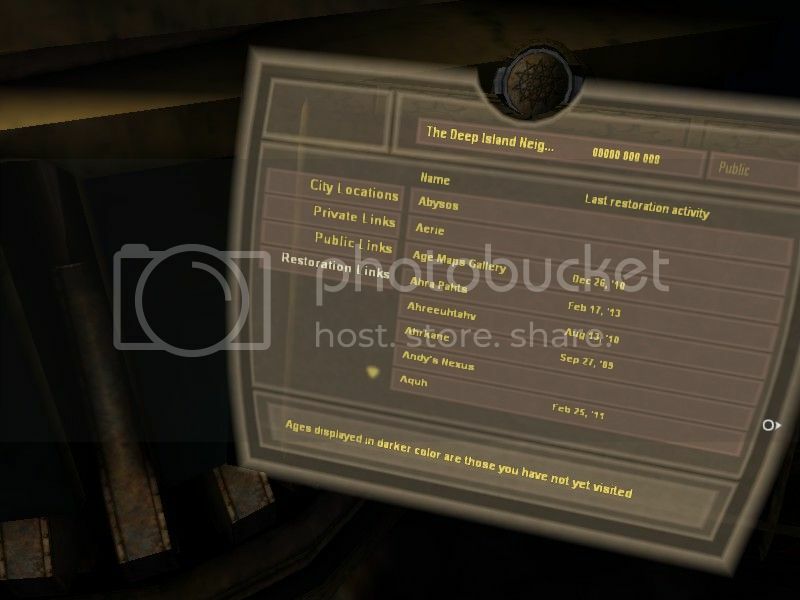 That location is in the “City Locations” panel; check that you have a “Restoration Links” panel. If you don’t have it, or it’s empty, something didn’t work. Yes, that's what I remember too. It was after right click the Uru.exe (as administrator). Sorry, that I have not explained better. It is right. You put only four data in your folder. But after starting the Uru.exe there is a download. And then you will have all the data in your folder. That is what i remember. It was a long time i installed it. The checksum and whitelist files are downloaded on first launch, not generated. It looks like somehow the auto-updater is not working at all for you, and then nothing will work. Please make sure to NOT put Uru into "Program Files"; put it somewhere in your user directory instead (e.g. "Saved Games"). UAM is gone virtually, and it says the webpage is not in use.